Anthropologist Alan Simmons of the University of Nevada has published a perspective piece in the journal Science suggesting that the Mediterranean islands were inhabited far earlier than has been thought. Rather than the first inhabitation of such islands as Cyprus and Crete occurring roughly 9,000 years ago, he suggests it might have been as many as 170,000. 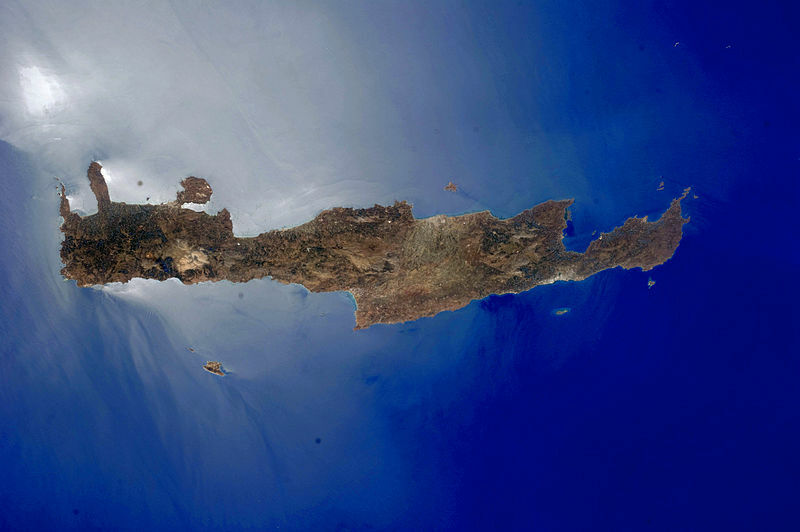 Modern science has held that islands such as Cyprus and Crete were first inhabited by seafaring humans approximately 9,000 years ago by agriculturists from the late Neolithic period. Simmons writes that research over the past 20 years has cast doubt on that assumption however and suggests that it might be time to rewrite the history books. He cites evidence such as pieces of obsidian found in a cave in mainland Greece that were found to have come from Melos, an island in the Aegean Sea and were dated at 11,000 years ago as well as artifacts from recent digs on Cyprus that are believed to be from approximately 12,000 years ago. He adds that some researchers have also found evidence that something, or someone caused the extinction of pygmy hippos on Cyprus around the same time. Simmons also suggests that the first inhabitants of many of the Mediterranean islands may not have been modern humans at all. Instead, he says evidence has been found that shows that they might have been Neanderthals, or Homo Erectus. Recent excavations on Crete have turned up artifacts that are thought to be 110,000 years old, for example, and a stone axe was found that is believed to have been made on the same island as far back as 170,000 years ago. Since modern humans are believed to have come into being roughly 100,000 to 200,000 years ago, the possibility exists that such artifacts were left behind by an early ancestor or cousin. Simmons also notes that evidence is mounting that indicates sea travel was occurring many thousands of years before modern humans arrived on the scene. He notes that it is commonly accepted that Australia was colonized approximately 50,000 years ago, and fossils (of an ancient lineage that went extinct) found in Indonesia have been dated to 1.1 million years ago. All of the evidence put together, Simmons says, points to the very real possibility that it was Neanderthals or Homo erectus that first settled the Mediterranean islands and that they did so by building boats and navigating them indicating they had cognitive abilities far beyond what has traditionally been assumed by modern scientists. Some of the classical world's most innovative cultures developed on Mediterranean islands, but their earlier human use is poorly known. The islands, particularly those further from the mainland such as Crete and Cyprus, were thought to have been first colonized about 9000 years ago by late Neolithic agriculturalists with domesticated resources. Until about 20 years ago, claims of earlier, pre-Neolithic occupations on any of the islands did not stand up to critical scrutiny (1), but current investigations are challenging these perceptions. Discoveries on Cyprus, Crete, and some Ionian islands suggest seafaring abilities by pre-Neolithic peoples, perhaps extending back to Neanderthals or even earlier hominins. In Cyprus, Neolithic sites have been documented that are nearly as early as those on the mainland.